The City of Aspen’s own 7,114-yard championship course is complete with a PGA award-winning pro shop, driving range, chipping and putting greens, cart rental, full-service locker facilities, and bar & grill. Regardless of your ability, the Dede Cusimano Golf Academy uses state-of-the-art technology and expert teaching professionals to help you get the most out of your game. In Carbondale, River Valley Ranch Golf Club is an award-winning, daily fee course, which offers spectacular views of the Crystal River Valley and Mt. Sopris. Beyond the public courses in the area, the Maroon Creek Club, Snowmass Club, and Roaring Fork Club are Aspen’s area private clubs for members only. The Aspen Golf Club, ranked as the #1 Best U.S. Municipal Golf Course in Colorado by Golfweek Magazine three years in a row, provides a challenging 18-hole course set in the heart of the Rockies. Located 8,000 feet above sea level amid landmark mountain peaks, Snowmass Club is a private membership club that offers a distinctive membership experience with unparalleled facilities and amenities and easy access to America’s most famous mountain town. Views of Mt. Daly and Capitol Peak provide a majestic mountain atmosphere and holds endless possibilities for wellness & health, spa, tennis, dining, golf and numerous on site catering venues. 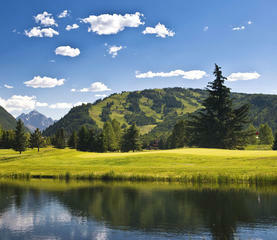 Step into a four season paradise and let the Snowmass Club become your Aspen/Snowmass playground.